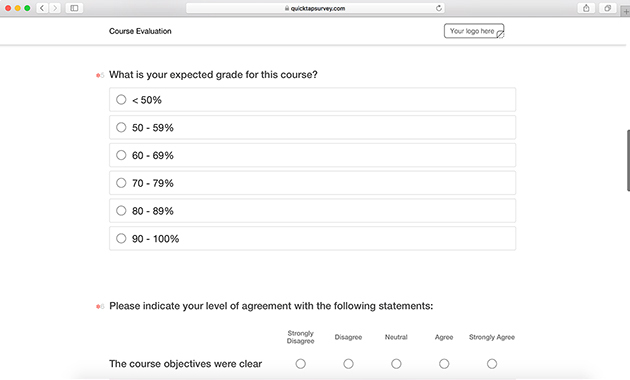 Evaluating courses is essential for administration to not only engage with students, but also to understand the impact courses can have on them. Tracking student interest in courses over time will help you make valuable investments and decisions. Ultimately, students are your clients because they invest their money, time, and effort in your courses. Students talk to each other and share feedback on courses, but that feedback is only valuable if you can collect it. Students are not uniform. Different generations of students will be interested in different courses. Typing classes, for example, are no longer offered. As careers change, so will the courses students are interested in. 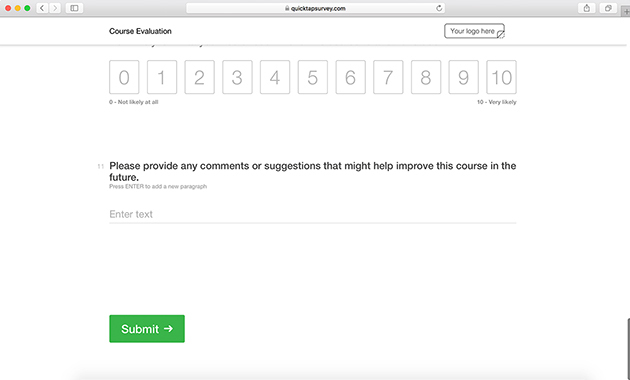 By continuously collecting survey feedback, you can stay ahead of the curve on those trends. Are the right courses being offered? Would students recommend a current course? 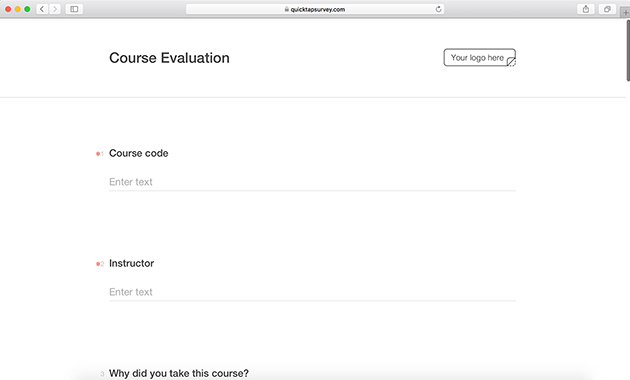 Why would a student recommend a course? Why wouldn’t a student recommend a course? What courses are being offered that you would never take? What courses aren’t being offered that you would take? Did the course develop student's ability to apply theory to practice? Did the course provide the opportunity for students to practice the skills required in the course? Did the course improve student problem-solving skills? Did the course develop student’s ability to think critically about the subject? 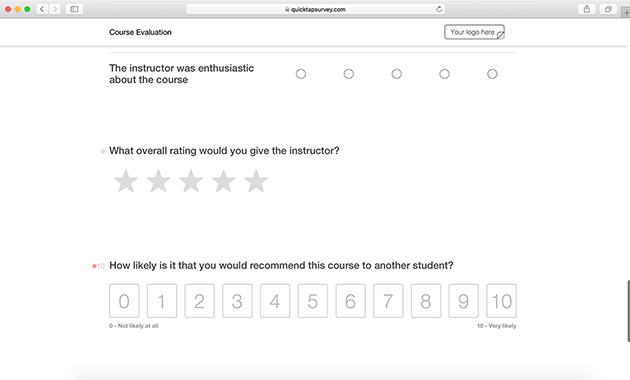 Course feedback is essential. Track that data digitally with QuickTapSurvey. 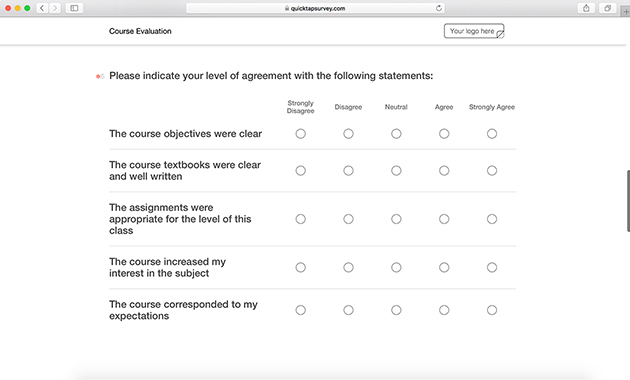 Easily customize and use our course evaluation survey template or create your own with simple drag and drop fields. 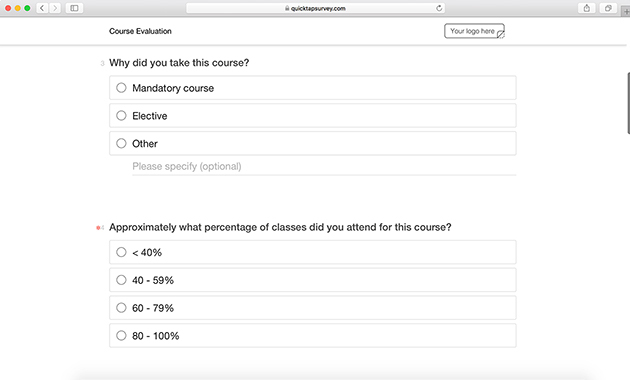 The data collected from student course surveys can be collected and analyzed online or offline.